Anna started her environmental life out in the technocratic world - studying to be an environmental engineer then adding economic management and policy studies to a trip around the world. She came home inspired by the democratic defeat of Harper, and potential for Canada to take climate leadership in a world becoming more desperate for it. She quickly discovered that all was not what it seemed at home. Organizing found her in the winter of 2016, underemployed and frustrated, and brought her into her first volunteer role in a people powered campaign - she hasn’t turned from organizing since. 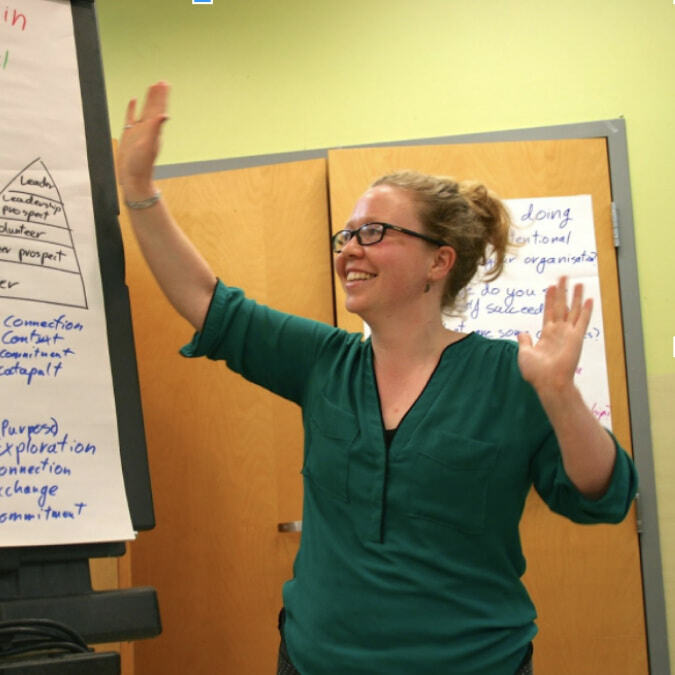 Anna is always looking for new and established ways to engage, to build community capacity, and get organized together to win big in the ways that our planet needs us to. She currently works with the Georgia Strait Alliance to build a Fossil Fuel Moratorium and loves Booster workshops.